Home Health & Nutrition Pet Food Bowls Safety Check – No Plastic! If you never thought about how your cat’s food bowl might be affecting its health, a safety check may be in order. Visits to the vet because of issues with certain food bowls are not uncommon. Ceramic pet bowls are often a dishwasher-safe alternative to plastic bowls. The pet product industry markets all kinds of fashion and utility pet food bowls to consumers. Did you know that the material a pet food bowl is made of might affect not only the health of your pet but also the quality and flavor of its food? Mainstream pet bowls are made of plastic, ceramic, or stainless steel. They are reasonably priced and come in a wide variety of colors, shapes, sizes and weights. The more rarely available premium pet bowls are made of stoneware or porcelain. Stainless steel is the most popular choice among pet owners for their companion to eat from. · Some animals have allergic reactions to eating off of plastic. Often this is referred to as contact dermatitis or chin acne. A small and unsuspecting irritation can turn into a full blown inflammation quickly. 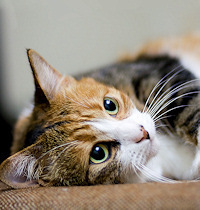 It is a common problem especially for cats that often goes unnoticed and untreated until the problem becomes severe. Symptoms for cats can begin with what looks like crusted dirt on their chin that won’t go away. It may develop later with redness of the chin and around the mouth, swollen pores or black, clogged pores. In severe cases, swelling of the chin and the lymph nodes around the head and neck area can be observed. · Plastic pet food bowls are hardly likely to be BPA-free. Bisephenol-A is a toxic chemical found in many manufactured plastics. Studies showing the toxicity and affects of BPA as being disruptive to the internal systems of humans and animals are undisputed. BPA is especially prone to leaching into food in an acidic environment and can be released with exposure to heat from dishwashing or hot water rinsing. With the exception of some types of kibble, any wet pet food whether it is prepared at home or commercially manufactured is very likely to fall into the range of acidic. Although actual BPA leaching doesn’t occur simply from putting pet food into a plastic bowl, if the bowl itself is not labeled BPA-free, members of your household are still at risk of exposure, including your pet who would be eating off of the plastic regularly and licking the bowl thoroughly. · Plastic tends to harbor bacteria even with careful cleaning. Grooves, crevices and scratches in plastic material can easily create a haven for bacteria to breed even with careful cleaning. The bacteria may contaminate the food placed into the dish creating a risk of food poisoning. Even with the use of anti-microbial soaps, bleaching agents and scrubbing aids, bacteria that are making a home in plastic serve ware can still be extremely difficult to eliminate. Particularly with bacteria such as salmonella which enters its host orally, the importance of sanitary food serving dishes goes beyond protecting your pet but can make a difference for the entire household. For the price of food bowls made of materials other than plastic, steering clear of it to use for food service for your pet is a small financial investment but a major investment in health and food safety. Please switch any plastic bowls they may be using, including water bowls, to a material such as stainless steel. It is friendlier to their body inside and out.